On this Saturday, I finished the border on my impromptu pastel wonky stars quilt. I took it and the batik bento box quilt to Tracy at Buttons&Bows for long arm quilting. I lucked out that she is caught up and has the ability to “fit me in” before Christmas. I have met my 2011 goal of sewing one quilt a month (on average). I will finish two pillow shams tomorrow to accompany the Wonky Birds quilt. 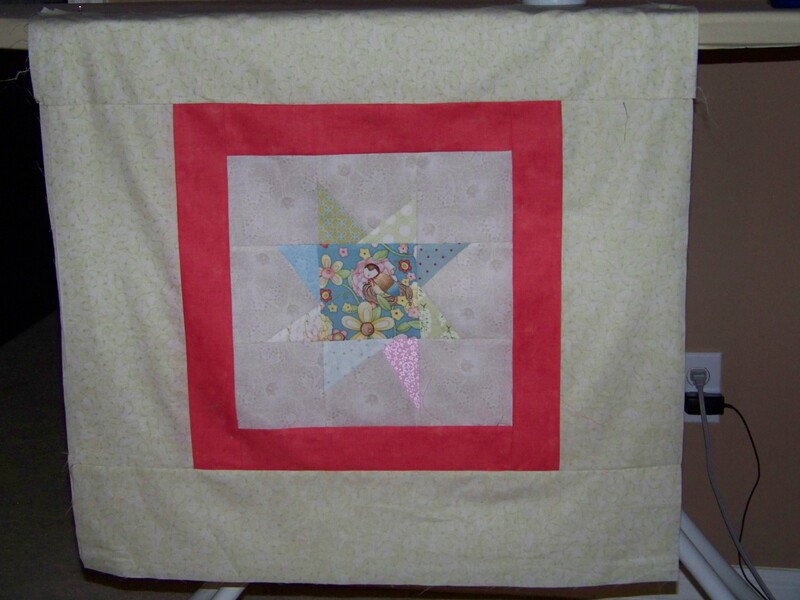 I have enjoyed all the sewing this year and really enjoy converting fabric into a useful, beautiful quilt. I hope the recipients of my quilts will all be equally enthusiastic. 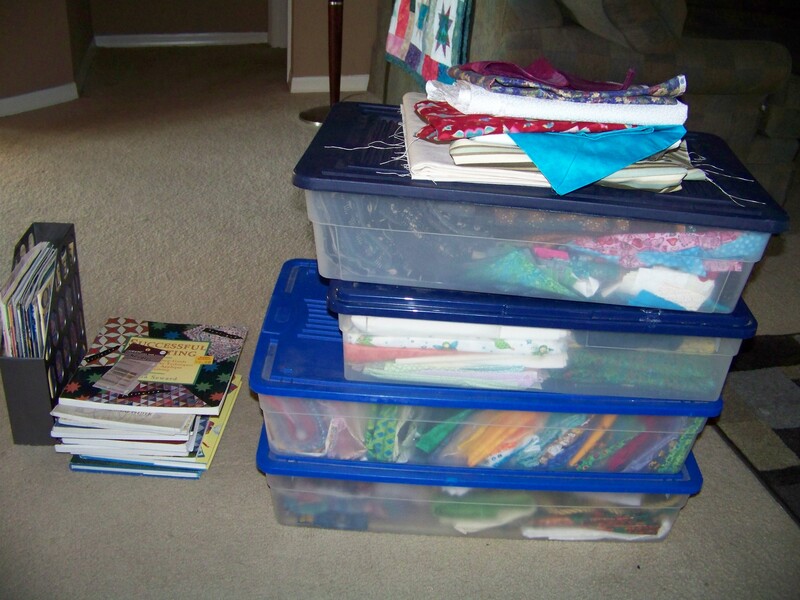 And while I am guilty of buying a fare amount of new fabric, I have turned to my fabric stash boxes and used material long in storage. 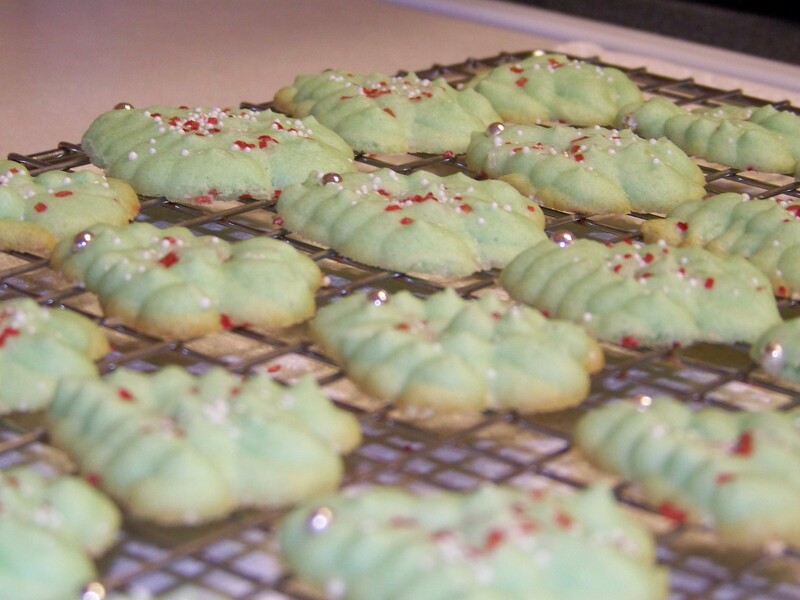 The first batch of Christmas cookies were made today. Spritz Christmas trees are the top fave in this household. This is a cookie I never make at any other time of the year. I also went out to the property. My yard man, Josh, bush hogged on Friday and the property is not all clear cut again. Next weekend I will spend some time dragging and relocating all the Linkin Log pine segments to the back debris pile. I have a gigantic bag of rye grass seed and will over seed the lot for ‘winter’. Hopes and goals are to break ground in January with a goal of being in the house for my 46th birthday in August. I purchased my first seeds of the season, lettuces, cukes and tomatoes to plant in the late spring. I love Southern Exposure Seed Exchange. I have done a paltry amount of actual Christmas shopping. Lame, I know. I loathe shopping. Truly. Instead, I am making gifts. Some people may loathe a homemade, handmade gift but…..tough nuggies. You’re getting homemade vanilla extract (steeping for a YEAR), homemade jams, preserves, or pickles, quilts, pillowcases, birdseed molds, firestarters or unique handmade gifts from artisans and craftmen off Etsy.com. If I can manage to avoid any occupation of my local mall, I will feel truly victorious.